You can also see my Monthly Wrap-Up for May. I read 5 books. Uh oh, I think I'm losing my speed reader credentials! You must read the review of Rammed by the Raptor on The Steadfast Reader. I can't even begin to explain...just read it and thank me later. Apparently dinosaur erotica is a thing? WARNING: Please, for the love all of things holy, do NOT Google dinosaur erotica. I hope you have a super week! What book are you looking forward to reading? 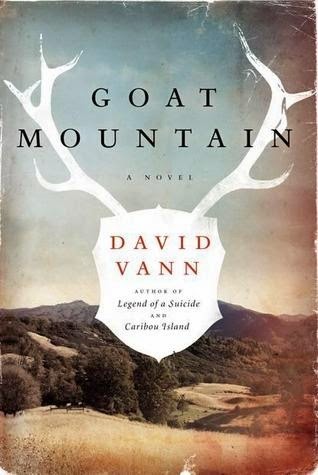 Oh, I'm so glad you're reading Goat Mountain! I really want to pick it up (you know I love the depressing books), but I was kind of worried about the mixed reviews. 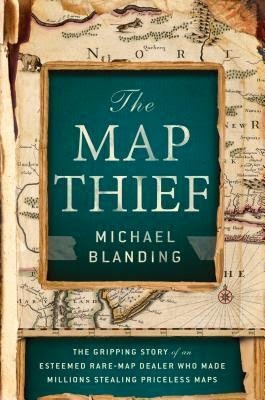 I really enjoyed The Map Thief! Hahah! Rammed by the Raptor review was pretty epic. Glad you got to jump in on ArmchairBEA! I laughed and laughed and laughed when I read that review. :D Rammed by the Raptor...I just like saying it!! You're welcome! Thanks for making my day (month!) with that post, lol. Rammed by the Raptor was the best thing I've read in a long time. Good that she didn't take it too seriously, because, really, who could? Alison at The Book Wheel and Rebecca from Love at First Book told me about dinosaur erotica...I was very afraid. I finished 8 books in May...not too stellar, but it's ok.
You SHOULD be afraid...it's taking over the world, ha! 8 books is fab :) Depending on whether you liked them or not of course! The Map Thief is really fun! I hope you like it. 3 for me, so 5 sounds pretty awesome. I think I'll pass on googling dinosaur erotica, that picture's enough! You never cease to amaze me and make me laugh. 5 books in a month (and that's slow for you), and dinosaur erotica, really? Two words I never would have put together. Here's my reading recap and linky if you'd like to stop by and link up. I'm so happy to be of service, Tanya ;) Ha! I laugh out loud EVERY TIME I see that dinorotica cover!!! Thanks, it's kinda a mission of mine :D They are so great to read and they make me feel like a smarty, lol. The Rammed by the Raptor review was awesome! Dude... Rammed by the Raptor, wtf?? I'm bummed I missed out on Armchair BEA! Of welllll... and The Map Thief looks super interesting, of course.